Before you fill in this sheet make a good digital picture of your Jacob Spin ship’s portrait. The frame is not important, but make sure the entire watercolor is displayed. 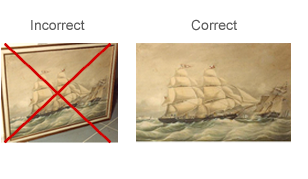 It is often easier to remove the painting from the frame, because then you do not suffer from any glass reflection. Make your photo preferably in the higest resolution (maximum size of the picture file is 20 MB) and in JPEG. 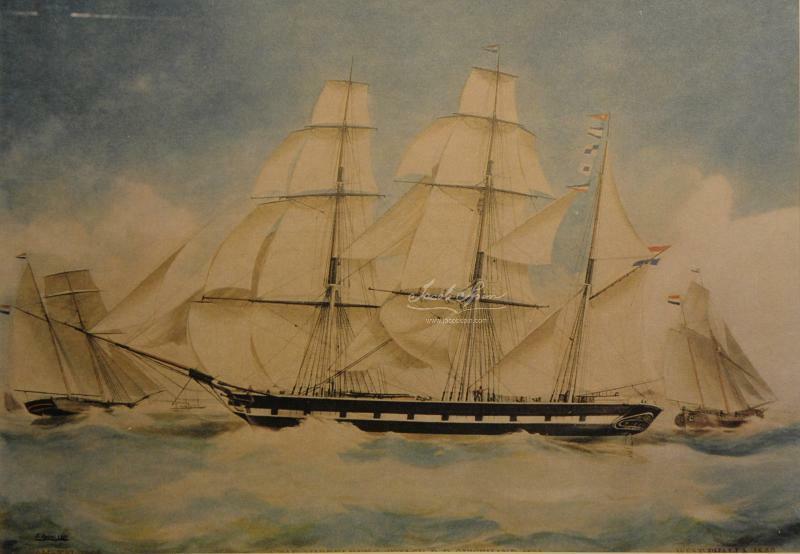 In the boxes “detail picture” you can add photos such as from the bow, the stern and the signing of the painting. due to privacy rules this information will not be made visible.